Another old finish! This is the third for 2017, though only the second that I’ve shown (still have yet to take the time to locate the photos for that second quilt finish, though I will – hopefully soon!). When looking through the closet of quilt tops, I pulled this one immediately, thinking it would be good to have a deadline. 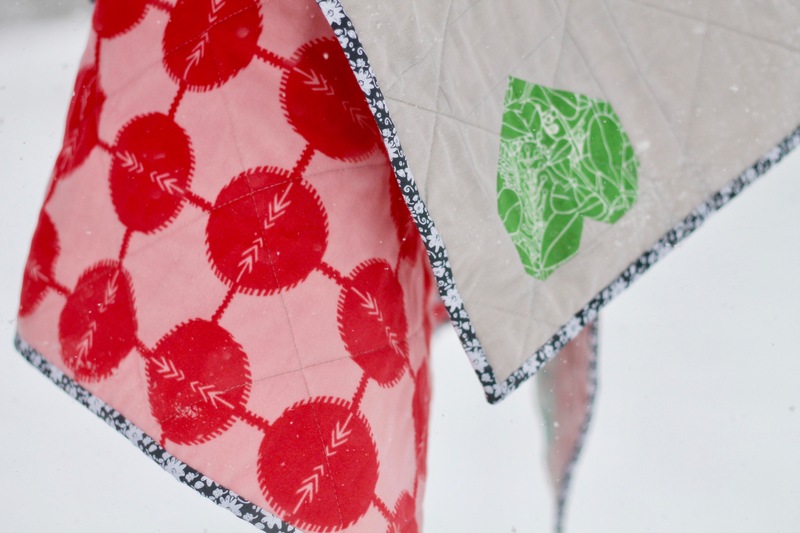 I already had backing selected – Anna Maria Horner’s velveteen in a perfect red/pink color combo – so it was really quite easy to get it sandwiched and ready to quilt. Then, procrastinator that I am, I let it sit on the side of the sewing table while I ignored it and happily went about starting new projects. This past weekend I realized we were expecting a snow storm and immediately was bummed that I wouldn’t have anything to photograph. 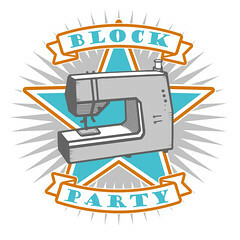 I remembered this one, and quickly went to work doing some quick and easy quilting. The crosshatch quilting was pretty quick, and while I originally wanted to do more dense quilting (since there are quite a lot of seams – I was reminded just now when reading my previous post about this quilt that all those seams were due to a cutting/sewing error- oops!). Anyway, I’m not too worried about it, especially since it’s one I’m keeping. But anyway, I’m sure you’ve seen similar hearts floating around on the internet recently. 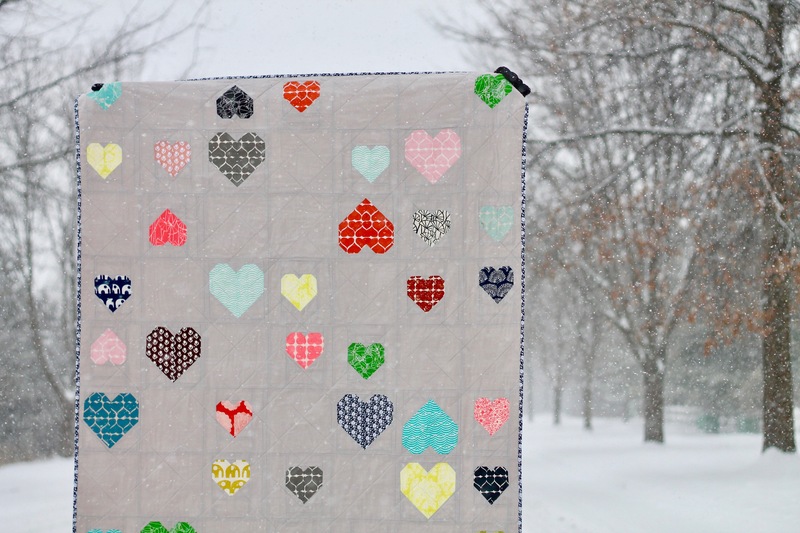 Allison’s heart pattern makes the perfect heart day quilt, and as a bonus, they’re quick and easy to sew! 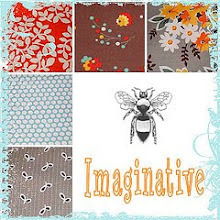 I made mine out of all my beautiful scraps of Umbrella Prints fabrics, and I love it. I’ve had many of those smaller scraps in my stash for many years, so it’s especially fun to put them all to use in a quilt. I found the perfect binding in another Umbrella Prints fabric from one of their later lines, and I think it suits the quilt nicely. I even managed to get the binding all hand sewn Saturday night so I could snap a few photos while it snowed! This entry was posted in Fabric, Finished Quilts, Posts about Quilts, Quilts and tagged cluck cluck sew, fabric scraps, heart pattern, scattered hearts, umbrella prints. Bookmark the permalink. Beautiful quilt and dreamy photos! This beuatiful quilt of yours inspired me to a Baby quilt for my great nephew! Thanks so much for sharing it! What a beautiful way to say “Happy Valentine’s Day”. Thank you and Happy Valentines’s day to you and your beautiful family. Ahww this is so cute! Love it! 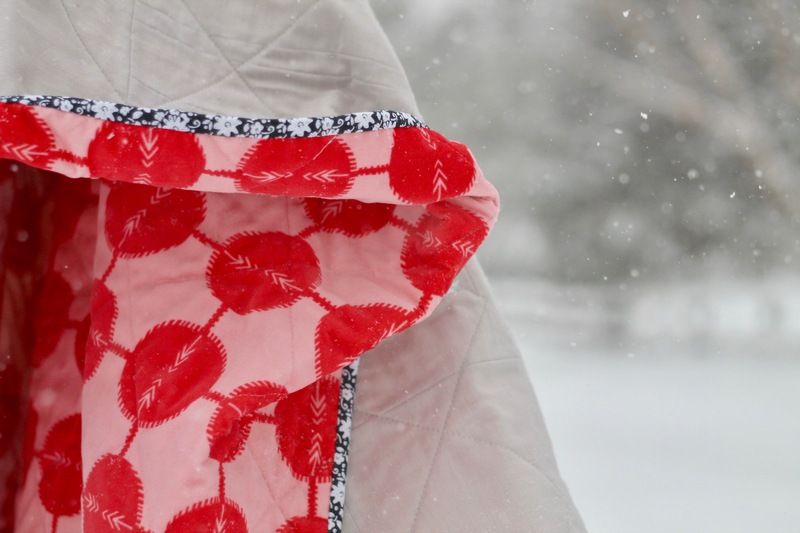 Really pretty and I love that you got it done in a hurry to take these awesome quilt-in-the-snow photos!! Awe, I just would not have thought to do this in ‘different’ colors! 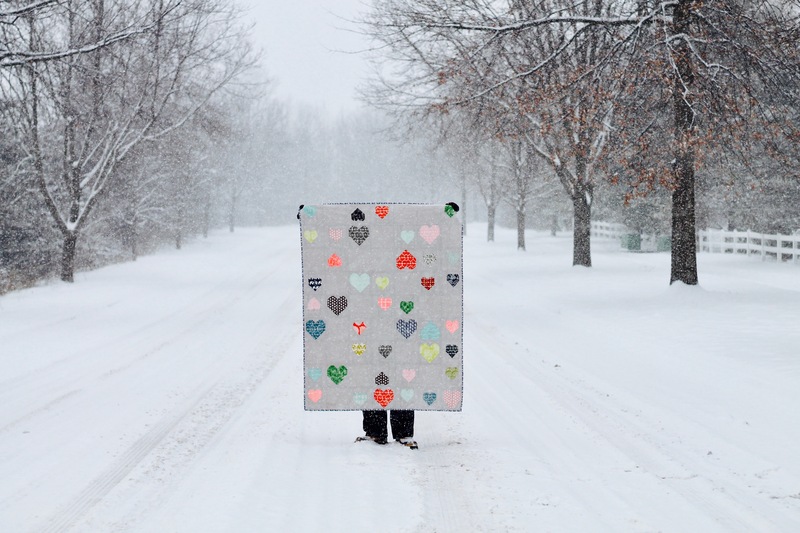 Great quilt and beautiful snowstorm. I hope Allison sees this! Oh, those pictures are the best! Way to hustle and take advantage of the photo op. The quilt’s lovely too, of course! I like all the negative space. It makes the hearts look even nicer. It’s the cutest! You always have the best quilt pictures! 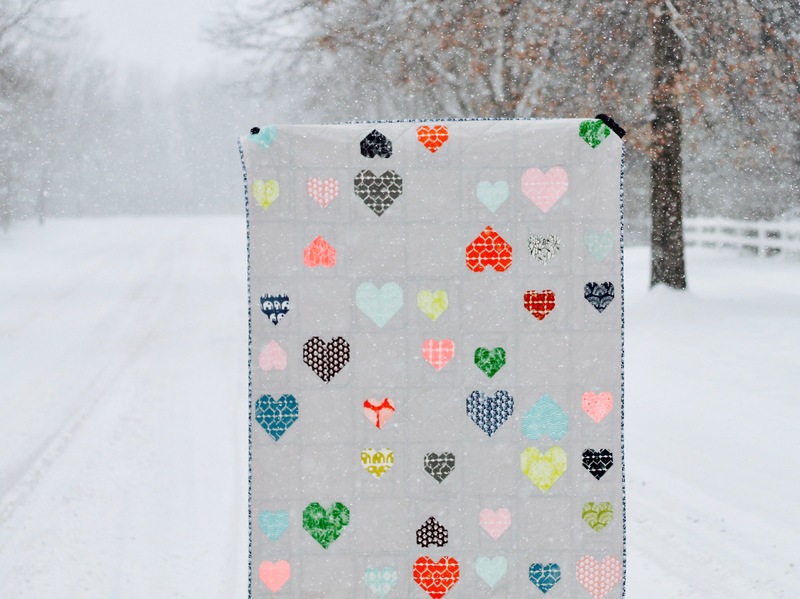 Of all the heart Quilts showing up in posts, this is one of my favorites!! A question-when you use velveteen for the backing, do you also use batting? I am intrigued by the idea of having AMH velveteen! Sounds so luxurious! What a great quilt and what a great day for a photograph! I made a boatload of those hearts for a Pulse quilt but it hadn’t occurred to me to scatter some around and leave some negative space. Perhaps I’ll try that one of these days. Oh, and using scraps makes it even better!! I’m always happy when one of your posts shows up in my blog feed. It’s the perfect heart quilt – I love everything about it! Keep up the good work. My good intentions for a Valentine’s heart anything went up in smoke…sigh. Always enjoy seeing your posts and love your design sense. FYI: The last couple of posts, my email notification has the photos so big they go off the screen (and I have a big monitor). Just perfect! Love it Ashley. Thanks for sharing.